His No. 1 cheerleader! 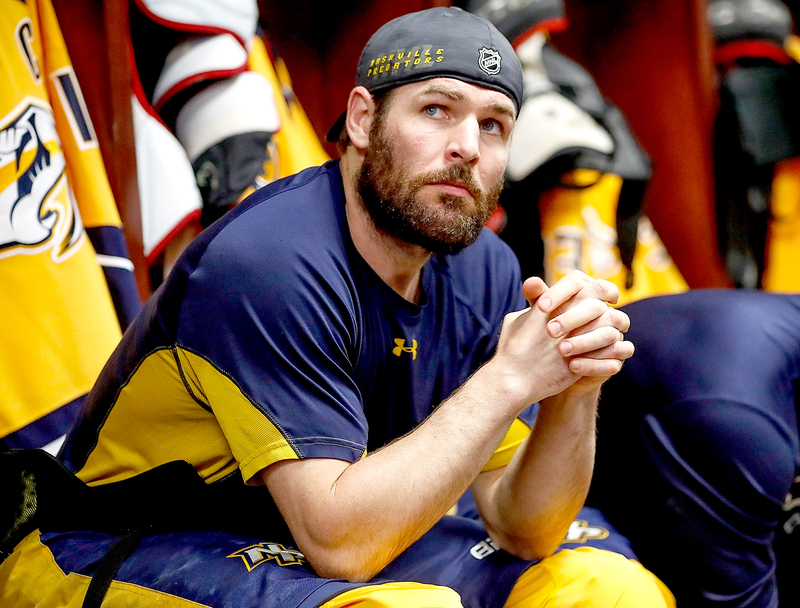 Carrie Underwood is supporting her husband, Mike Fisher, after he announced on Thursday, August 3, that he is retiring from the NHL. The athlete wrote about his retirement in a touching letter to his fans via The Tennessean newspaper. The team captain will not be putting on his skates for next season but he seems hopeful about the next chapter of his life. “This is the hardest decision I’ve ever had to make, but I know I’ve made the right one. I’ve decided to retire from the NHL. I kept praying for peace about the next step in my life. A peace that said this is God’s will for your future. A peace that said whether or not this was the right time to walk away,” he wrote in his letter. “I believe God gave me the ability to play hockey, and I was helped by dozens of individuals along the way, so it’s not just up to me on when it’s time to say goodbye,” he added. The couple, who tied the knot in 2010, has a 2-year-old son, Isaiah. The hockey player said this is his time to focus on spending more time with his family that has supported him “without question” along the way.